A herniated disc can cause intense pain and weakness. Paul Brock, DC, is a board-certified chiropractor who can resolve herniated discs with a variety of effective therapies, including chiropractic adjustment. He is dedicated to the principle that a well-aligned spine is the first step toward achieving mind-body harmony and overall health. At Brock Chiropractic in Tustin, California, Dr. Brock and his caring staff serve the residents of Orange County and the surrounding areas. If you're experiencing the pain of a herniated disc, call or book an appointment online today. A herniated disc, also known as a “slipped” or prolapsed disc, refers to the displacement or rupture of one of the protective cushions that lie between the 26 vertebrae of the spine. Vertebral discs have a soft, jelly-like center that’s protected by layers of hard, elastic cartilage. 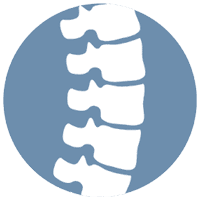 Correctly aligned, the vertebral discs make the spine flexible. Healthy vertebral discs allow you to bend forward and back, and turn from side to side. They also act as shock absorbers, protecting the spine during high-impact activities such as running and jumping. If a disc is pushed out of alignment, or herniates, it may squeeze into the spinal canal and irritate the spinal nerves. If the bony exterior of the disc is damaged or torn, the jelly-like center may leak, causing further irritation to the nerves. The two most common locations for a herniated disc are in the lumbar spine (lower back), and the cervical spine (neck). There is no single cause for a herniated disc. Discs are more prone to rupture or herniation as we age. Trauma, such as falling or being hit in the back, can also cause a disc to herniate. How does a chiropractor treat a herniated disc? After Dr. Brock has diagnosed a herniated disc, he may recommend chiropractic manipulation or nonsurgical spinal decompression. These techniques realign the spine and take the pressure off the injured disc so that it can begin to heal. Dr. Brock nonsurgically decompresses the spine with a traction table that gently stretches the spine, allowing an increased flow of blood, oxygen, and nutrient-rich bodily fluids to the herniated disc. Healing starts by calling for a consultation and examination. You will learn how Dr. Brock’s approach to chiropractic medicine can ease back pain, help repair your herniated disc, strengthen your spine, and improve your overall health and well-being.